I’d like to thank Jai for nominating me and for telling me that she’s stalking my blog LOL. Just kidding. But really, if there’s one person, even just one who really reads my posts, I am really happy. I thought, the whole procedure is tedious as I need to check out other blogs that haven’t been nominated yet, link their blogs here, inform them and blah and blah and blah. But then I realized, this post will not be just me, nominating other bloggers for their versatility. I would also like to take this opportunity to thank all the other bloggers who’ve been reading my posts from the time I don’t know how and what to write yet till the time that I still don’t know how and what to write. LOL. So, I’ll make a little twist. I’d nominate 15 bloggers as per the rule then afterwards, I’ll just add some more that I’d wish to honor and thank. Doesn’t matter if they participate or not as long as I was able to let them know how dramatic I am that if there can be a thing called virtual friends, then I consider them as my virtual friends. That I value the time they spend for reading my ramblings and leaving their thoughts. PromKing – nagsubscribe na ako, pero nasaan ang kape ko? For those who just recently stumbled upon my blog, I am not a writer (isn’t that obvious?) but a hotelier by profession. I am a Jack of All Trades, Master of none. I can do a lot of things but I haven’t mastered one. I can play the guitar, I draw on Mugs, I sew bags and pouches (seriously? an old maid), I can be a flair bartender (I know how to flair bottles), I can sing (like a frog), I can draw (like a kindergarten), I can clean pistons of ten wheeler trucks, I can be a barker at the jeepney terminal too (LOL, now the last one is exaggerated). I like ironing clothes more than cooking food. I like seafood pasta. I like ramen and I like rice. I like all the carbos. I hate cheese and milk and beef. I dream almost every night and remember almost all of my dreams in details. My secret and forever unreachable dream is to be a radio DJ. I used to stalk John Hendrix of WLSFM and I know his lines by heart. After graduation, I submitted a demo tape and resume to RX 93.1 as application to be a Student DJ. They called me, just a day (or maybe few days) before my flight to Dubai. My heart was broken. salamat sa pagpapasalamat sa akin. good thing i am not nominated. hehehe. yung coffee mo, pagbalik mo ng manila. promise! may kasama pang business proposal ng networking. 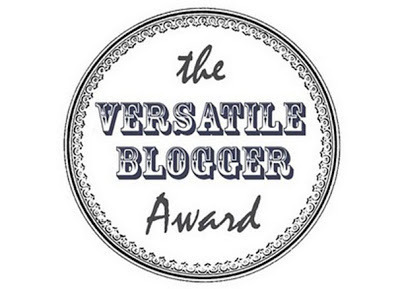 Congratulations on your award and thank you so very much for following my blog. I am so excited! Welcome! Oooooooo. I’m nominated pala. thanks! I’ll whip something up. FYI I’m drunk right now and writing something hahahaha. Previous Previous post: Hopes are like Hair Ornaments….